Tired of the everyday grind? Ever dream of a life of … romantic adventure? We offer you … ESCAPE! The best radio actors appeared on the show week in and week out. 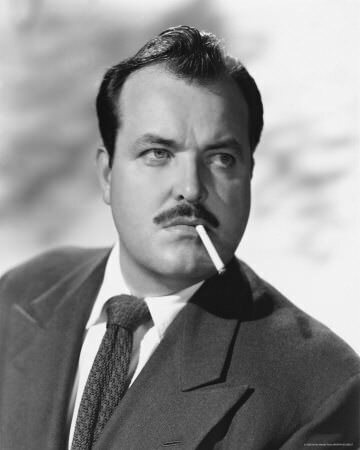 Some of the greats associated with the show include William Conrad (Gunsmoke), John Dehner (Have Gun Will Travel), Jack Webb (Dragnet), Elliott Lewis (Voyage of the Scarlet Queen, Broadway is My Beat), Georgia Ellis (Gunsmoke),Frank Lovejoy (Nightbeat), Hans Conreid, Jennette Nolan, Jay Novello, Jack Edwards, Joan Banks, Parley Baer (Gunsmoke), Paul Frees and Peter Leeds. 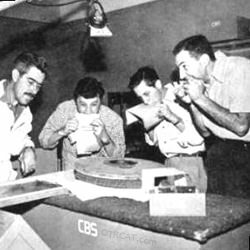 And that's only a few of the dozens of radio actors who were a part of the greatest high adventure series on radio. 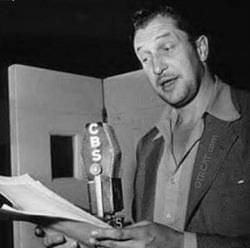 Producer-directors of the show included William N. Robson (Suspense) and Norman McDonald (Gunsmoke), both masters of the craft of radio realism and action adventure, laced with thrills and chills. Escape's writers (including Ray Bradbury), music and sound effects all wove magic into these half-hour episodes, many of which were based on great writer's tales, such as The Man Who Would be King, Country of the Blind, Diamond as Big as the Ritz, Typhoon, Beau Geste, The Fall of the House of Usher, An Occurrence at Owl Creek Bridge, and The Time Machine. Some were adapted from high adventure stories written in the 1930s and '40s. Many were written expressly for Escape. All the popular Escape shows are in this fine collection, including "Three Skeleton Key", "Evening Primrose", "The Most Dangerous Game", "A Shipment of Mute Fate", "The Man Who Stole the Bible", "Earth Abides", and "The Loup Garou"...but each and every show is a fine radio drama. This is as nearly perfect as it gets, except, perhaps, that once you get in over your head, you might not... ESCAPE! Please note many episodes in this collection are both the West Coast and East Coast broadcast versions (denoted as "WC" and "EC"). The shows are intentionally included in the collection; recordings are the same script with slightly different performances. For more adult-oriented adventure, see also: Out of the Deep, High Adventure, and Moon Over Africa. A favorite episode of Escape was The Man Who Could Work Miracles. The main character is called Fotheringay and he\'s always correcting people on it, or maybe one person repeatedly. I just learned that the name is actually pronounced Fungey, not like it\'s spelled. I haven\'t checked whether all the puns on Fotheringay were in the original Wells story or if they were added by the adapter. Ben Wright, British as anything, no doubt knew the correct pronunciation. Still, it was a fun as heck script. No doubt he recognized it as such.